In addition to being regulated by the Fair Debt Collection Practices Act (FDCPA), Washington DC collection agencies are also regulated by Washington DC debt collection laws. Discover: Washington DC collection requirements, bad check laws (NSF), statutes of limitations for both debts and judgments, garnishments plus Washington DC collection agency license and bonding information. § 22-3401. Use of “District of Columbia” or similar designation by private detective or collection agency–Prohibited. No person engaged in the business of collecting or aiding in the collection of private debts or obligations, or engaged in furnishing private police, investigation, or other private detective services, shall use as part of the name of such business, or employ in any communication, correspondence, notice, advertisement, circular, or other writing or publication, the words “District of Columbia”, “District”, the initials “D.C.”, or any emblem or insignia utilizing any of the said terms as part of its design, in such manner as reasonably to convey the impression or belief that such business is a department, agency, bureau, or instrumentality of the municipal government of the District of Columbia or in any manner represents the District of Columbia. As used in this section and § 22-3402, the word “person” means and includes individuals, associations, partnerships, and corporations. § 22-3402. Use of “District of Columbia” or similar designation by private detective or collection agency–Penalty. Any person who violates § 22-3401 shall be punished by a fine of not more than $300 or by imprisonment for not more than 90 days, or by both such fine and imprisonment. § 22-3403. Use of “District of Columbia” or similar designation by private detective or collection agency–Prosecutions for violations. All prosecutions for violations of § 22-3401 shall be conducted in the name of the District of Columbia by the Corporation Counsel or any Assistant Corporation Counsel. As used in this section the term “Corporation Counsel” means the Attorney for the District of Columbia, by whatever title such attorney may be known, designated by the Mayor of the District of Columbia to perform the functions prescribed for the Corporation Counsel in this section. (4) the use of any form of communication to the consumer, which ordinarily may be seen by any other persons, that displays or conveys any information about the alleged claim other than the name, address, and phone number of the debt collector. (9) any false representation or false impression about the status or true nature of or the services rendered by the debt collector or his business. (h) No debt collector shall use, or distribute, sell, or prepare for use, any written communication that violates or fails to conform to United States postal laws and regulations. (2) an assignment for collection of any claim upon which suit has been filed or judgment obtained, without the debt collector first making a reasonable effort to contact the attorney representing the consumer. (j)(1) Proof, by substantial evidence, that a debt collector has wilfully violated any provision of the foregoing subsections of this section shall subject such debt collector to liability to any person affected by such violation for all damages proximately caused by the violation. § 28-3816. Inconsistent laws: What law governs. § 28-3901. Definitions and purposes. (13) “Committee” means the Advisory Committee on Consumer Protection which is responsible for carrying out the statutory requirements set forth in section 28-3907. (3) educate consumers to demand high standards and seek proper redress of grievances. (c) This chapter shall be construed and applied liberally to promote its purpose. § 28-3902. Department of Consumer and Regulatory Affairs as consumer protection agency. (a) The Department of Consumer and Regulatory Affairs shall be the principal consumer protection agency of the District of Columbia government and shall carry out the purposes of this chapter. (c) The Director of the Department of Consumer and Regulatory Affairs shall exercise the powers set forth in section 28-3905 through the Office of Compliance, and shall appoint a Chief of the Office of Compliance from among active members of the unified District of Columbia Bar. The Chief of the Office of Compliance may carry out investigative, conciliatory, and other duties assigned by the Director. (e) The Mayor shall appoint one or more attorneys qualified to serve as administrative law judges or attorney examiners to conduct adjudicatory proceedings. Any administrative law judge or attorney examiner appointed pursuant to this subsection may hear cases pursuant to § 2-1801.03. (i) Notwithstanding any other provision of District law, enforcement of this chapter by the Department of Consumer and Regulatory Affairs is suspended until October 1, 2002. This subsection shall not prevent the Department of Consumer and Regulatory Affairs from cooperating with, and making appropriate referrals to, another law enforcement agency. § 28-3903. Powers of the consumer protection agency. (16) appoint private attorneys from the District of Columbia bar, who shall take action in the name of the Department, and shall promulgate regulations implementing this provision, in order to assist in the enforcement of any consumer complaint. (2) render annual reports to the Council and the Mayor as to the number of complaints filed and the nature, status, and disposition thereof, and about the other activities of the Department undertaken during the previous year. (E) an action of an agency of government. § 28-3904. Unlawful trade practices. (hh) fail to make a disclosure as required by § 26-1113(a-1). (a) A case is begun by filing with the Department a complaint plainly describing a trade practice and stating the complainant’s (and, if different, the consumer’s) name and address, the name and address (if known) of the respondent, and such other information as the Director may require. The complaint must be in or reduced by the Director to writing. The filing of a complaint with the Department shall toll the periods for limitation of time for bringing an action as set out in section 12-301 until the complaint has been resolved through an administrative order, consent decree, or dismissal in accordance with this section or until an opportunity to arbitrate has been provided in Chapter 5 of Title 50. (B) Whether the trade practice which occurred violates any statute, regulation, rule of common law, or other law of the District of Columbia. (2) The Director may, in his or her discretion, decline to prosecute certain cases as necessary to manage the Department’s caseload and control program costs. (b-1) In carrying out an investigation and determination pursuant to subsection (b) of this section, the Director shall consult the respondent and such other available sources of information, and make such other efforts, as are appropriate and necessary to carry out such duties. (c) If at any time the Director finds that the trade practice complained of may, in whole or in part, be a violation of law other than a law of the District of Columbia or a law within the jurisdiction of the Department, the Director may in writing so inform the complainant, respondent and officials of the District, the United States, or other jurisdiction, who would properly enforce such law. (6) the complainant can no longer be located. (d-1) The Director may dismiss any part or all of a case to which one or more of the reasons stated in subsection (d) of this section apply. The Director shall inform all parties in writing of the determination, and, if any part or all of the case is dismissed, shall specify which of the reasons in this subsection applies to which part of the case, and such other detail as is necessary to explain the dismissal. (B) that the presentation of a charge to the Office of Adjudication would not serve the purposes of this chapter. (f) When the case is transmitted to the Office of Adjudication, the Chief of the Office of Compliance shall sign, and serve the respondent, the Department’s summons to answer or appear before the Office of Adjudication. Not less than 15 nor more than 90 days after such transmittal, the case shall be heard. The case shall proceed under section 10 of the District of Columbia Administrative Procedure Act (section 2-509). The Office of Adjudication may, without delaying its hearing or decision, attempt to settle the case pursuant to subsection (h) of this section, and has discretion to permit any stipulation or consent decree the parties agree to. The Director shall be a party on behalf of the complainant. Applications to intervene shall be decided as may be proper or required by law or rule. Reasonable discovery shall be freely allowed. Any finding or decision may be modified or set aside, in whole or part, before a notice of appeal is filed in the case, or the time to so file has run out. (6) may be based, in whole or part, upon a violation of a law establishing or regulating a type of business, occupational or professional license or permit, and may refer the case for further proceedings to an appropriate board or commission, but may not suspend or revoke a license or permit if there is a board or commission which oversees the specific type of license or permit. (E) contain such other provisions or considerations as the parties agree to. (2) The representative of the Department shall administer the settlement proceedings, and may utilize the good offices of the Advisory Committee on Consumer Protection. All settlement proceedings shall be informal and include all interested parties and such representatives as the parties may choose to represent them. Such proceedings shall be private, and nothing said or done, except a consent decree, shall be made public by the Department, any party, or the Advisory Committee, unless the parties agree thereto in writing. The representative of the Department may call settlement conferences. For persistent and unreasonable failure by the complainant to attend such conferences or to take part in other settlement proceedings, the Director, prior to transmittal to the Office of Adjudication, may dismiss the case. (3) A consent decree described in paragraph (1) of this subsection may be modified by agreement of the Department, complainant and respondent. 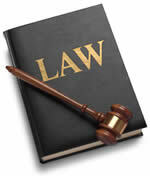 (C) the Director dismisses an entire case in accordance with subsection (h)(2) of this section. (1A) Such appeals shall be conducted in accordance with the procedures and standards of section 11 of the District of Columbia Administrative Procedure Act (section 2-510), and take into account the procedural duties placed upon the Department in this section and all actions taken by the Department in the case. (2) An aggrieved party may appeal any ruling of the Office of Adjudication under subsection (j) of this section to the Superior Court of the District of Columbia. (ii) may be assessed and made liable to the Department for a civil penalty of not exceeding $1000.00 for each violation or failure to adhere to a provision, of an order described in subsection (f), (g), or (j) of this section or a consent decree described in subsection (h) of this section. (B) The Department, the complainant, or the respondent may sue in the Superior Court of the District of Columbia for a remedy, enforcement, or assessment or collection of a civil penalty, when any violation, or failure to adhere to a provision of a consent decree described in subsection (h) of this section, or an order described in subsection (f), (g), or (j) of this section, has occurred. The Department shall sue in that Court for assessment of a civil penalty when an order described in subsection (g) of this section has been issued and become final. A failure by the Department or any person to file suit or prosecute under this subparagraph in regard to any provision or violation of a provision of any consent decree or order, shall not constitute a waiver of such provision or any right under such provision. The Court shall levy the appropriate civil penalties, and may order, if supported by evidence, temporary, preliminary, or permanent injunctions, damages, treble damages, reasonable attorney’s fees, consuser redress, or other remedy. The Court may set aside the final order if the Court determines that the Department of Consumer and Regulatory Affairs lacked jurisdiction over the respondent or that the complaint was frivolous. If, after considering an application to set aside an order of the Department of Consumer and Regulatory Affairs, the Court determines that the application was frivolous or that the Department of Consumer and Regulatory Affairs lacked jurisdiction, the Court shall award reasonable attorney’s fees. (C) Application to the Court to enforce an order shall be made at no cost to the District of Columbia or the complainant. (4) The Corporation Counsel shall represent the Department in all proceedings described in this subsection. (j) If, at any time before notice of appeal from a decision made according to subsection (f) of this section is filed or the time to so file has run out, the Director believes that legal action is necessary to preserve the subject matter of the case, to prevent further injury to any party, or to enable the Department ultimately to order a full and fair remedy in the case, the Chief of the Office of Compliance shall present the matter to the Office of Adjudication, which may issue a cease and desist order to take effect immediately, or grant such other relief as will assure a just adjudication of the case, in accordance with such beliefs of the Director which are substantiated by evidence. The Office of Adjudication’s ruling may be appealed to court within 7 days of notice thereof on the Director, respondent, and complainant. (F) any other relief which the court deems proper. (2) The remedies or penalties provided by this chapter are cumulative and in addition to other remedies or penalties provided by law. Nothing in this chapter shall prevent any person who is injured by a trade practice in violation of a law of the District of Columbia within the jurisdiction of the Department from exercising any right or seeking any remedy to which the person might be entitled or from filing any complaint with any other agency. (3) Any written decision made pursuant to subsection (f) of this section is admissible as prima facie evidence of the facts stated therein. (4) If a merchant files in any court a suit seeking to collect a debt arising out of a trade practice from which has also arisen a complaint filed with the Department by the defendant in the suit either before or after the suit was filed, the court shall dismiss the suit without prejudice, or remand it to the Department. (5) An action brought by a person under this subsection against a nonprofit organization shall not be based on membership in such organization, membership services, training or credentialing activities, sale of publications of the nonprofit organization, medical or legal malpractice, or any other transaction, interaction, or dispute not arising from the purchase or sale of consumer goods or services in the ordinary course of business. (l) The Director and Office of Adjudication may use any power granted to the Department in section 28-3903, as each reasonably deems will aid in carrying out the functions assigned to each in this section. Each, while holding the primary responsibility of the Department for decision in a certain case, may join such case with others then before the Department. No case may be disposed of in a manner not expressly authorized in this section. Every complaint case filed with the Department and within its jurisdiction shall be decided in accordance with the procedures and sanctions of this section, notwithstanding that a given trade practice, at issue in the case, may be governed in whole or in part by another law which has different enforcement procedures and sanctions. (m)(1) Whenever requested, the Department will make available to the complainant and respondent an explanation, and any other information helpful in understanding, the provisions of any consent decree to which the Department agrees, and any order or decision which the Department makes. (n) There shall be established a Consumer Protection Education Fund (“Fund”). All monies awarded to or paid to the Department by operation of this section, including final judgements, consent decrees, or settlements reduced to final judgements, shall be paid into the Fund in order to further the purpose of this chapter as enumerated in § 28-3901. (o) Every complaint case that is before the Department in accordance with this section shall proceed in confidence, except for hearings and meetings before the Office of Adjudication, until the Department makes a final action or a consent decree. (p) The Director may file a complaint in accordance with subsection (a) of this section, on behalf of one or more consumers or as complainant, based on evidence and information gathered by the Department in carrying out this chapter. Persons not parties to but directly or indirectly intended as beneficiaries of an order described in subsection (f), (g), or (j) of this section, or a consent decree described in subsection (h) of this section, arising out of a complaint filed by the Director, may enforce such order or decree in the manner provided in subsection (i)(3)(B) of this section. (q) At any hearing pursuant to subsection (f) or (j) of this section, a witness has the right to be advised by counsel present at such hearing. In any process under this section, the complainant and respondent may have legal or other counsel for representation and advice. (r) All cases for which complaints were filed before March 5, 1981, may be presented to and heard by the Office of Adjudication notwithstanding the time limits previously provided in section 28-3905(d), 28-3905(e), and 28- 3905(f) for the investigation and transmittal of cases to the Office of Adjudication, and for the hearing of cases by the Office of Adjudication. § 28-3906. Consumer education and information. (6) Perform the functions of the Department under § 28-3903(7) and (8). (b) The Chief of the Office of Consumer Protection shall be appointed by the Director. (c) In fiscal year 2006, the Office of Consumer Protection shall focus on investigation and mediation in the areas of auto repair and home improvement. § 28-3907. Advisory Committee on Consumer Protection. (a) There shall be an Advisory Committee on Consumer Protection consisting of 11 members appointed by the Mayor for three-year terms. The nongovernmental members, immediately prior to the effective date of this chapter, of the Advisory Committee on Consumer Affairs established in Organization Order No. 40 (C.O. 73-225; October 3, 1973), shall carry out their terms. No District Government employees shall be members. Four members shall be District merchants. Seven members shall be persons with demonstrated and current records of activity on behalf of consumers. (4) cooperate with consumer-related agencies, groups, and individuals in the District and in the metropolitan area to improve city-wide and area-wide consumer protection and education efforts. (c) The Committee shall elect one of its members as Chairperson and another as Vice-Chairperson, each to serve at the pleasure of the Committee, and such other officers and subcommittees as it determines. (d) The Office shall provide staff support for the Advisory Committee. Appropriate expenses incurred by the Committee as a whole, or by individual members, may be paid when authorized by the Director. (e) The Committee shall meet on call by the Chairperson as frequently as required to perform its duties, but no less than once each month, and it shall submit an annual report to the Mayor, Council, and the public. (f) The Committee shall hold public hearings as deemed necessary. If any provision of this chapter, or the application thereof to any person or circumstance, is held invalid, the remainder of this chapter, and the application of such provision to other persons not similarly situated or to other circumstances, shall not be affected. § 28-3909. Restraining prohibited acts. (a) Notwithstanding any provision of law to the contrary, if the Corporation Counsel has reason to believe that any person is using or intends to use any method, act, or practice in violation of section 28-3803, 28-3805, 28- 3807, 28-3810, 28-3811, 28-3812, 28-3814, 28-3817, 28-3818, 28-3819, or 28-3904, and if it is in the public interest, the Corporation Counsel, in the name of the District of Columbia, may petition the Superior Court of the District of Columbia to issue a temporary or permanent injunction against the use of the method, act, or practice. In any action under this section, the Corporation Counsel shall not be required to prove damages and the injunction shall be issued without bond. The Corporation Counsel may recover restitution for property lost or damages suffered by consumers as a consequence of the unlawful act or practice. (b) In addition, in an action under this section, the Corporation Counsel may recover a civil penalty of not more than $1,000 for each violation, the costs of the action, and reasonable attorney’s fees. (7) publicize its own actions taken in the interests of consumers. In the course of an investigation to determine whether to seek relief under section 28-3909, the Corporation Counsel may subpoena witnesses, administer oaths, examine an individual under oath, and compel production of records, books, papers, contracts, and other documents. Information obtained under this section is not admissible in a later criminal proceeding against the person who provides the evidence. (a) Subject to appropriation and authorization by Congress, there is established the District of Columbia Consumer Protection Fund (“Fund”) to be operated as a proprietary fund with assets not to exceed $3 million at any time. The Fund shall consist of: (1) sums as may be transferred to the Fund under a court order or judgment in an action brought pursuant to section 28- 3909, (2) gifts, grants, or cy pres payments made to support consumer protection activities by the Corporation Counsel, and (3) sums as may be recovered by the Corporation Counsel under section 28-3909 by judgment or in settlement of claims. Any balance in excess of $3 million shall be deposited in the Emergency and Non-Emergency Number Telephone Calling Systems Fund, established by § 34-1802. (c) The Mayor shall conduct an annual audit of all income and expenses of the Fund and shall submit the audit report to the Council. § 28-3912. Submissions to the Council. (2) A plan to fully implement this subchapter in fiscal year 2007, including any recommended amendments to this subchapter, to be submitted by February 1, 2006, in anticipation of the fiscal year 2007 budget. The Mayor may issue rules necessary to carry out this chapter. Rules proposed pursuant to this section shall be submitted to the Council for a 45-day period of review, excluding Saturdays, Sundays, legal holidays, and days of Council recess. If the Council does not approve or disapprove the proposed rules, in whole or in part, by resolution, within this 45-day review period, the proposed rules shall be deemed disapproved. Knowing and abiding to the proper Washington DC debt collection laws is important for both creditors and collection agencies alike. There are debtor’s rights attorneys who are just waiting for creditors or collection agencies to slip up. If you mistakenly violate the Washington DC debt collection laws, you could create a liability for your business and even open yourself up to a expensive lawsuit. Please note: Washington DC debt collection laws can change over time, and you need to consult with an attorney before you use this information.